(1) Tracking refurbishment rates and progress in energy saving through an area-based approach. Gathering data about the building stock of the test area in particular on the current state of the art of the buildings. 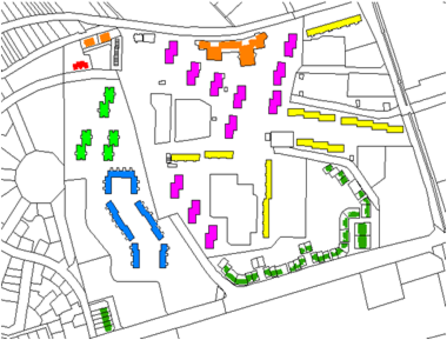 Data sources: GIS systems, database of the local government (mainly public buildings) and that of the housing association. Determination of the current retrofit rates on the bases of selected completed or ongoing projects and taking into account national standards. (3) Elaborate a guidance for local stakeholders and other housing companies, municipalities and national stakeholders. According to our analysis, the targets set for 2050 could only be reached with a refurbishment rate well over 3 % (referring to the gross floor area of the buildings and assuming a refurbishment on an ambitious level), which is unrealistic, even for a relatively wealthy town such as Budaörs.